This guide will explain how to flash a firmware / ROM (in scatter format) to a Mediatek (MTK) Smartwatch using FlashTool . 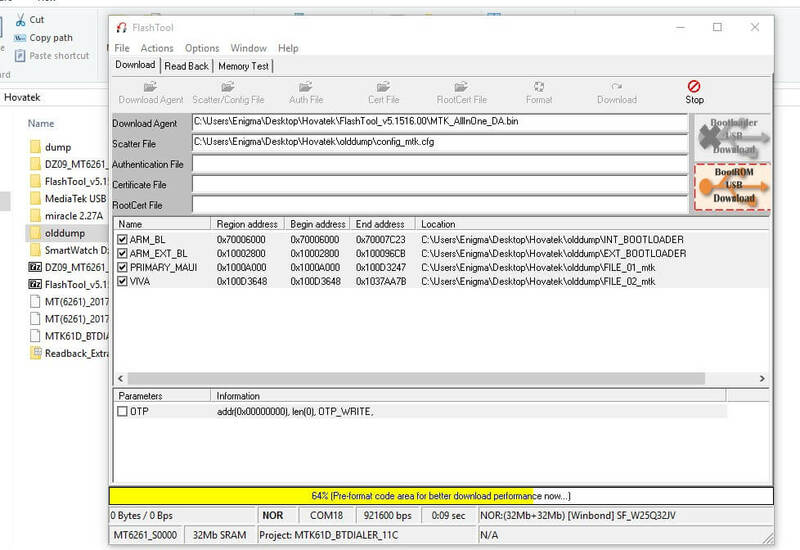 Quote: With your firmware and driver in place, you navigate to the location where you have your SP Flash tool and you run it as Administrator. If prompted, you click Yes. Click on Choose in front of Scatter-loading. 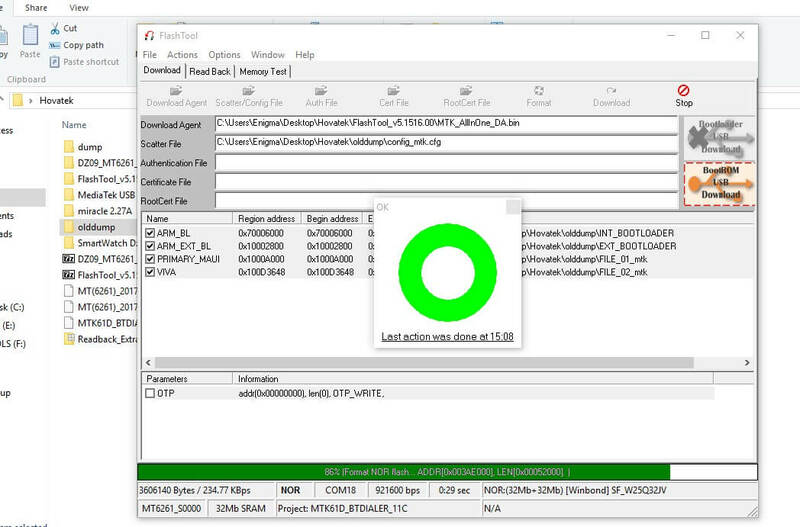 Navigate to the folder where you have your Smartwatch's firmware, select the scatter file then click Open. Now, we have the files loaded. Click Download, power off the Smartwatch & connect it to the PC still with battery inside, don't hold any button. We have detection and flashing should begin. 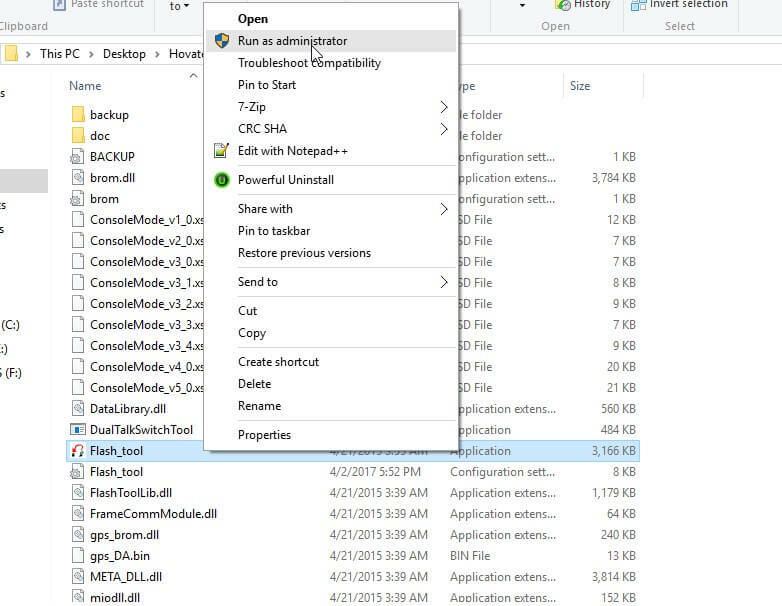 Quote: In this video tutorial, I'm going to be explaining how to flash a Mediatek Smartwatch using FlashTool Its very important you understand that FlashTool is different from SP Flash Tool. I assume you've installed your smartwatch drivers and you have the firmware for your smartwatch. 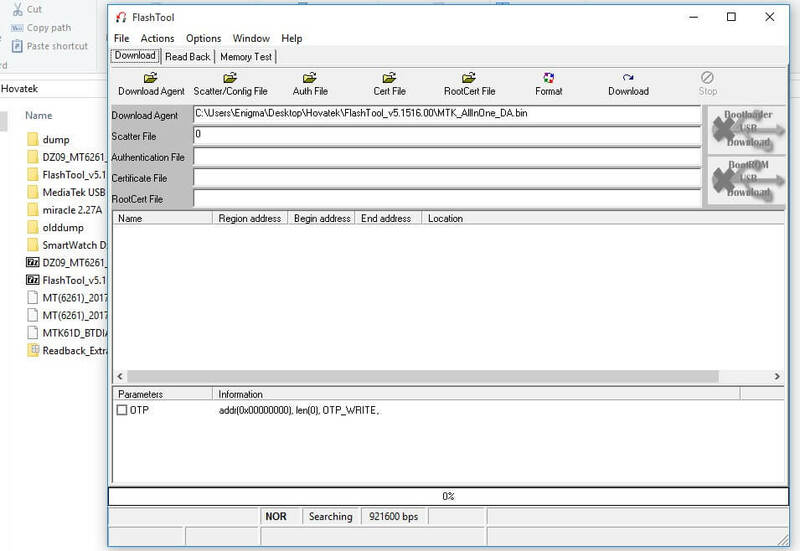 Now, run FlashTool as Administrator If you're not the admin, just double-click flash_tool. Now, you might get prompt just select Yes. and you hold on for the FlashTool dashboard to come up. 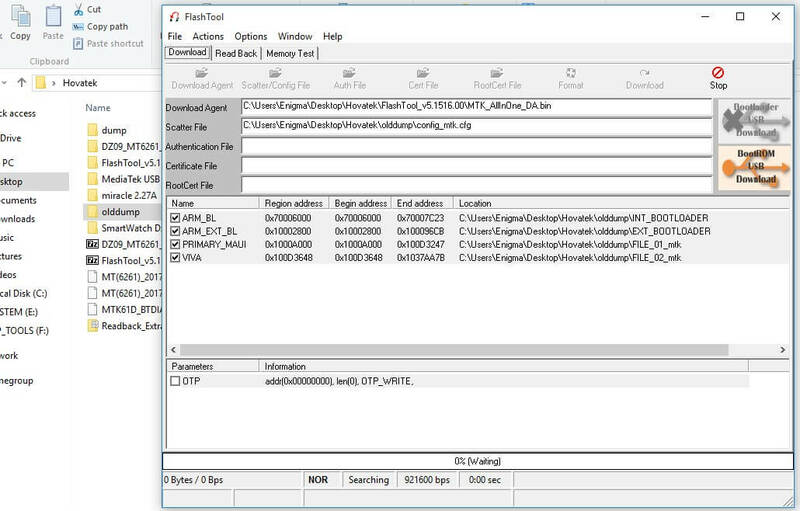 You might get an error like this, just click OK If you have Download Agent empty, what you need to do is just click DownloadAgent at the top and then navigate to the FlashTool folder, selectMTK_AllInOne_DA.bin and then you click Open. 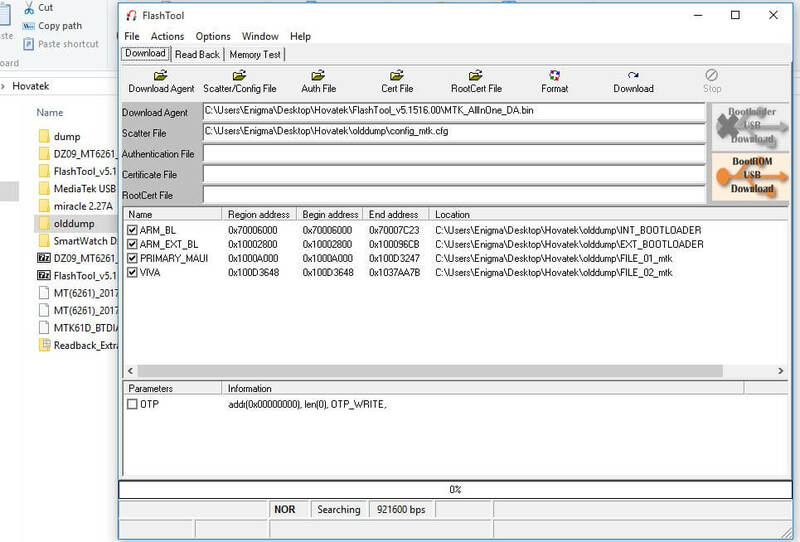 That will load the Download Agent Next up is scatter file. You click Scatter/Config file at the top. Navigate to the folder where you have the smartwatch's firmware. I'll flash the backup I'd made. Mine is in config format. 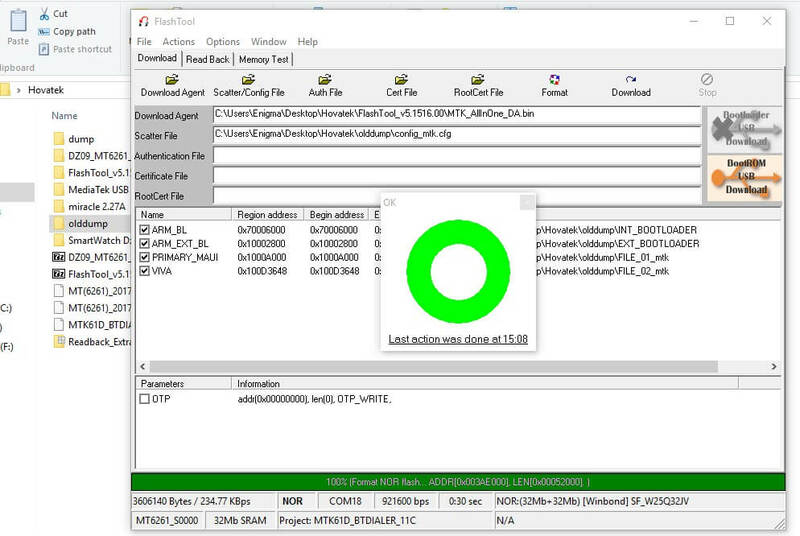 That's the difference between FlashTool and SP Flash tool. 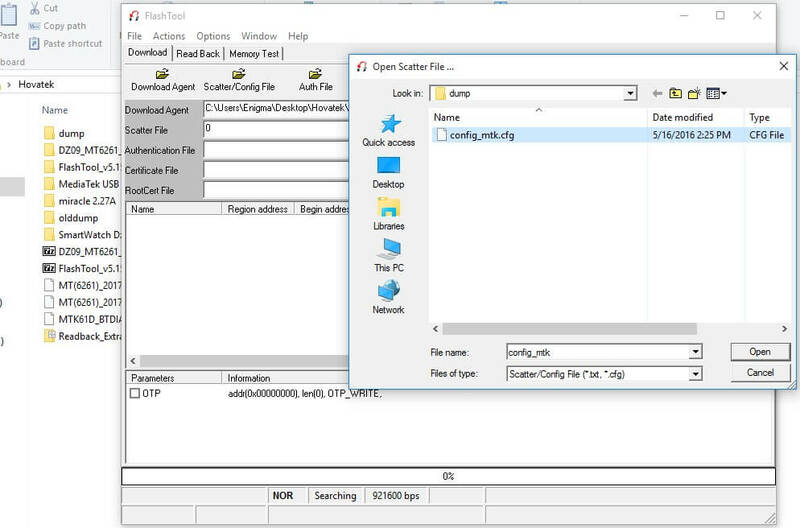 For SP Flash tool, you'll usually have just in txt format but this has the config format ok? You might also have the scatter format but mostly. It also supports config format (to put it thus) The firmware for my smartwatch is in config format so I select the config file and click Open You can see I have my partitions loaded here. I like to firmware after it have video player? ??? Is it the cloned Dz09? Hello, I have a clonned DZ09, wich is actually a W90 smartwatch. I want to install vxp or custom watchfaces but i have folowed all the tutorials online for DZ09 and it doesn't work for me. I have tried the Mediatek SmartDevice app on the phone an tried to connecting the watch to the PC, but the PC doesnt recognize the watch, it doesnt even make a sound. 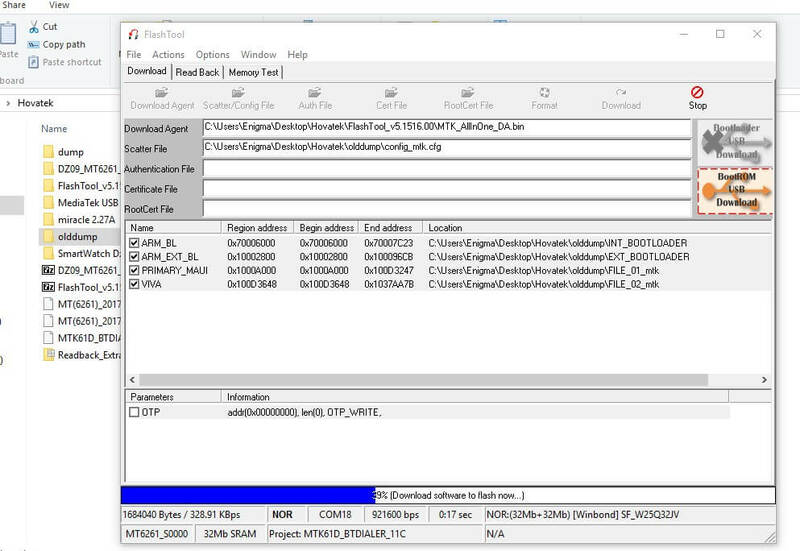 Can I flash a proper ROM, or in this case, the official DZ09 ROM? Or will I brick my watch? (12-30-2017, 04:11 AM)ZeHelder Wrote: Hello, I have a clonned DZ09, wich is actually a W90 smartwatch. I want to install vxp or custom watchfaces but i have folowed all the tutorials online for DZ09 and it doesn't work for me. I have tried the Mediatek SmartDevice app on the phone an tried to connecting the watch to the PC, but the PC doesnt recognize the watch, it doesnt even make a sound. the rom for the official dz09 will not work on the clone. it will either cause distorted display or worse case brick. custom watchfaces don't also work due to the small size of storage in the clone watch. you can't do all those at once. How can I update my Q18 Smartwatch? 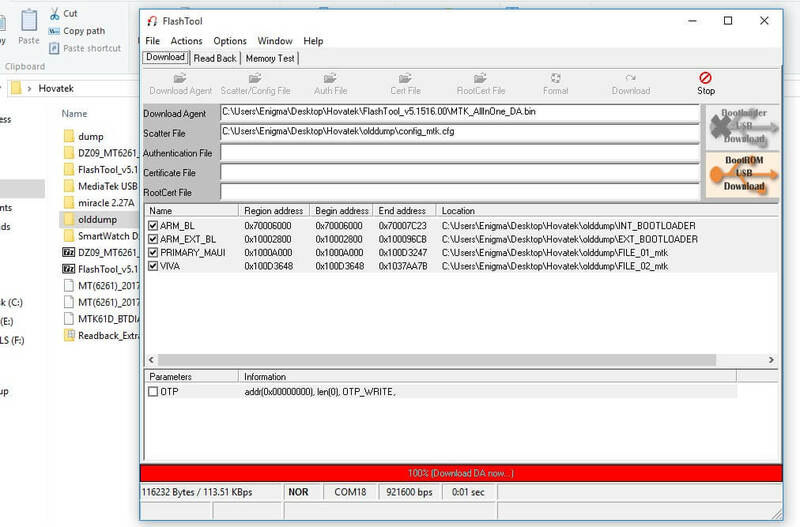 Problem related to qw09 smartwatch.